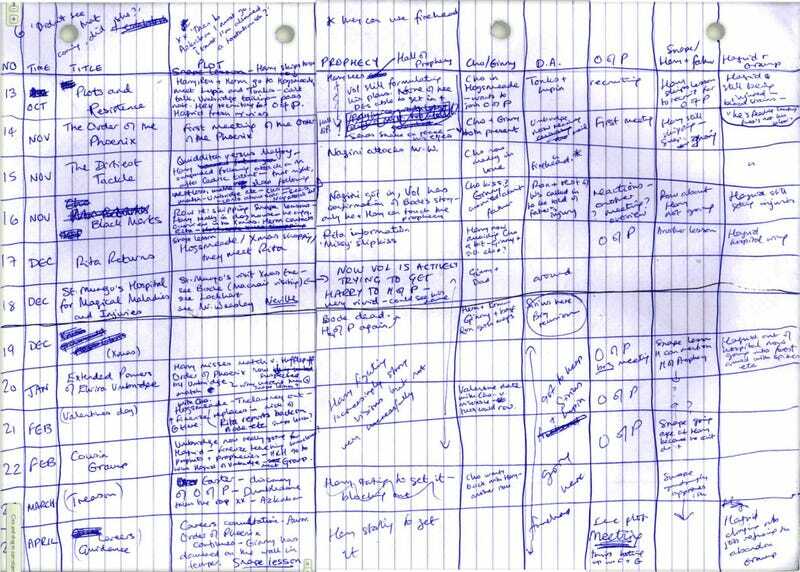 Just how carefully did J.K. Rowling plot out her Harry Potter novels? Incredibly carefully, it turns out. Behold a chapter-by-chapter spreadsheet of Order of the Phoenix, covering the prophecy, Ginny and Cho, Snape, and a bunch of other stuff.